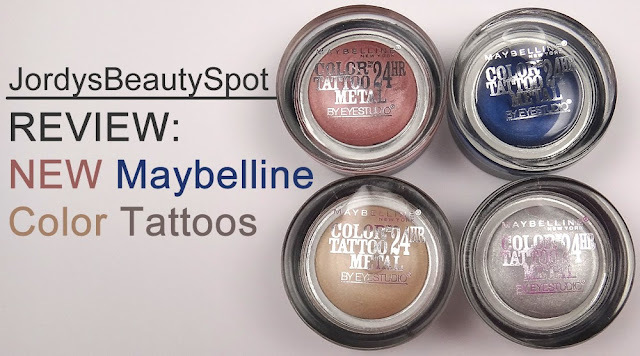 Four new shades were recently added to the Maybelline Color Tattoo range, a mixture of colours and neutrals, all metallic. In this post we will be looking at these four new colours; Inked in Pink, Barely Branded, Electric Blue and Silver Strike. Inked in Pink is a dusty rose gold colour with a gold shine through it. Electric Blue is a deep royal blue with a bronze glitter throughout it so it gives a smokey finish. Barely Branded is extremely comparable to the MAC Rubenesque Paint Pot, it's a golden based iridescent creamy colour. Silver Strike can only be described as if you melted a silver bracelet and put it in a pot, it's a pure silver glitter. 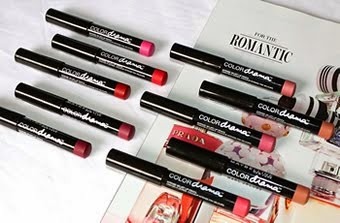 Formulation: These Color Tattoos have a thin and slippery consistency that glides onto the lid. It's a very smooth formulation that goes on as a cream and stays tacky. 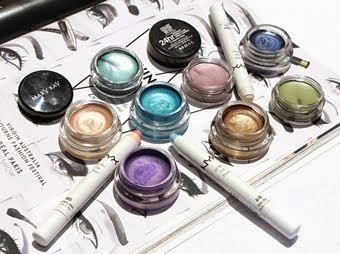 Pigmentation: They are extremely pigmented and so a little goes a long way and they provide incredible colour payoff. One thin layer of product provides a bold base of colour. 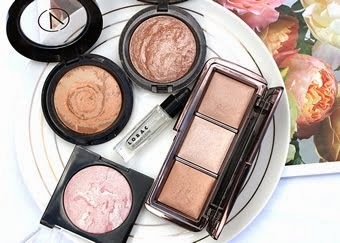 Usage: They can be used as a cream eyeshadow or as a tacky base to put underneath eyeshadows creating a more vibrant finish and longer lasting eye look. Range: The four new metallic shades include; Inked in Pink, Barely Branded, Electric Blue and Silver Strike. Cost and Availability: They retail for around $8-$12 each depending on sales or deals. 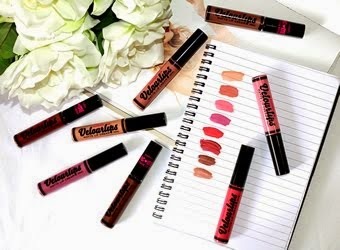 You can find them at all places that stock Maybelline including; Target, Chemist Warehouse, Priceline, Terry White and other chemists. 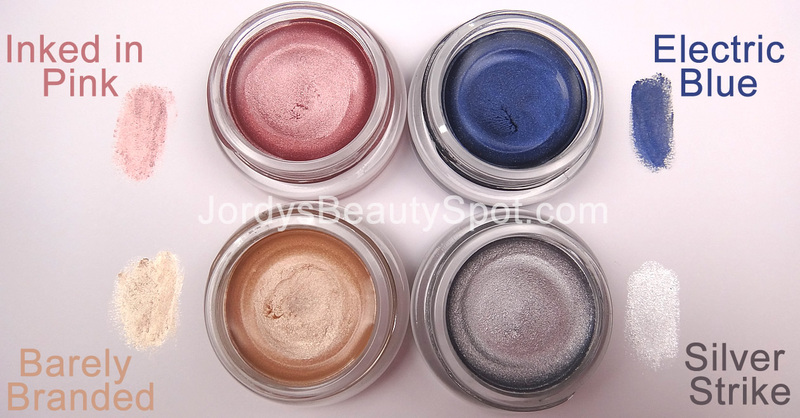 So those are my thoughts on the new Color Tattoo Shades, I think that they are an incredible cream eyeshadow or base and there are so many gorgeous colours to choose from. * These products were gifted to me by Maybelline. I got these in Inked in Pink and Barely Branded and they are so lovely! Tattoos have become so popular now that people who would have balked at a needle hitting their skin are taking the plunge and getting inked. Here we review certain styles of tattoos such as tribal tattoos, celtic tattoos and lower back tattoos and let you in on why they are so hot.